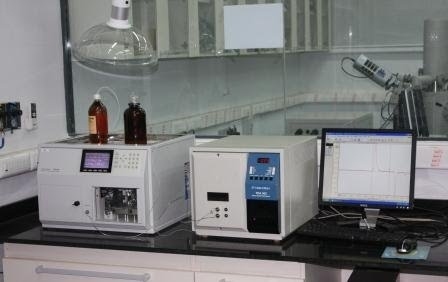 Viscotek GPC with Integrated Triple Detector Array; Low Angle Light Scattering (LALS) Detector, Viscometer and Differential Refractive Index (RI) Detector. Triple detector array consisting of RI, Viscometer, RALS/LALS. Sample injection capacity - 1 ml. Temperature controlled range - up to 40 ºC. Space for up to 4 GPC columns. Measurement of molecular weight, molecular size, density and conformation, intrinsic viscosity and provides structural information on branching and aggregation. Can be used for characterization of natural and synthetic polymer, copolymers, proteins, nanoparticles and other macromolecules. This instrument is currently not functional.